Oranges and gold tones are classic and traditional colors that we are naturally drawn to during the fall season. 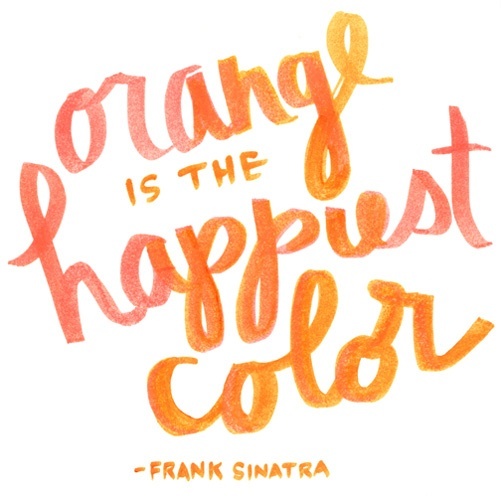 There are many different expressions of orange ranging from the bold and bright to more of a naturally subdued influence. Orange is a wonderful color for designers due to its dynamic color variation that blends well with rich gold hues as well as natural brownish tones. Let your style and artistic forte express itself through the diverse orange and gold palette! The Koi orange is definitely a statement color that boasts a vibrant and dazzling quality serving as a stylish pick-me-up to any wardrobe. Create accessories and jewelry designs utilizing the energetic Swarovski colors of Fireopal, Hyacinth, Hyacinth Champagne, Red Topaz, Sun Champagne and Crystal Astral Pink. For a slightly more subtle orange tone, a perfect color is the amber tone of Topaz or try Topaz AB to incorporate a yellowish gold sparkle for a touch of opulence or integrate the gorgeous gold hue of Crystal Brandy, both are flawless colors for a beautiful and timeless fall look. There are many different gold tones to choose from in the Swarovski Pearls and the name doesn’t necessarily represent the color, so I will list the gold options in relation to color starting from the lightest moving to the darkest. The softest gold hue is the Light Gold that has a very delicate, gentle and silky characteristic. The next lightest gold tone is Gold, which is a rich and very elegant color one that would match the tone of authentic 14K gold beautifully. The Vintage Gold is the next in line with more of a muted influence with hints of Light Colorado Topaz tan undercurrents. The Bright Gold is actually not very bright, it is the deepest gold available which is muted and subtle with an infusion of brownish tones. This entry was posted in Jewelry & Color Trends, Jewelry Inspirations and tagged amber color, Bright Gold, Cheap Swarovski Crystals, Crystal Astral Pink, Crystal Brandy, Fall 2013 Color Trend Featuring Koi, Fireopal, Gold, Hyacinth, Hyacinth Champagne, jewelry designs, Koi orange, Light Colorado Topaz, Light Gold, Oranges and gold tones, Rainbowsoflight.com, Red Topaz, Sun Champagne, Swarovski 6260 Crazy 4 U Heart Pendant Hoop Earrings Highlighting Crystal Astral Pink, Swarovski Crystal Beads, Swarovski Crystals, Swarovski Crystals Wholesale to the public, SWAROVSKI ELEMENTS, swarovski pearls, Topaz, Topaz AB, Vintage Gold, wholesale swarovski crystals. Bookmark the permalink.